An interesting minimoog showcase, featuring artists from Jazz, prog rock, metal, among other genres. 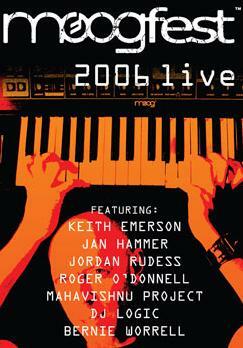 Each artist discusses certain thoughts about this moog festival briefly and plays for a while. I give this 3 stars because it is not for everyone. the music emphasizes the synthesizer a lot, making the music suffer a bit. Also, the video footage tends to show the musician rather than Robert Moog's invention, which frustrates me a lot. Finally, not all artists are my cup of tea, especially the first two. I'll quickly describe what you expect from each artist.